Brewing within style regulations is a great starting point and the classics always stay there. However, we are here to create new. We are experimenting and pushing the limits with classic brews. We do it in a way that shows respect to the original style. We brew with a Belgo-American mindset and source some inspiration from our Nordic heritage. If we stayed brewing in Finland, we would feel like artists who are only given black and white. We want to be those guys that re-painted Mona Lisa and added her an ironic mustache. We use pure water from our own well, quality Finnish malts and the finest of hops. Also, most* of our beers are vegan – which means we don’t use any animal based finings. Many of our beers can be naturally low in gluten and for the beers we state that are gluten free, we always have a lab result to certify that. We have a very humble approach on brewing – work hard, learn and get results. It has taken years to master these skills. The more we learn, the more we want to share our knowledge with everyone. We owe it to the beer loving society that has raised us to be the beer lovers we are now. We want to amaze fellow brewers with what we have done. We already sell our beers in several countries. 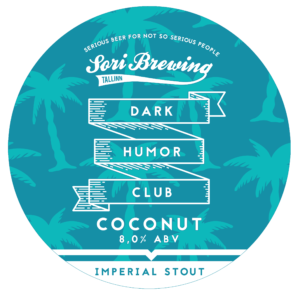 If you are a importer or distributor, you can contact us sales@soribrewing.com. We are proud that we’ve been able to collaborate with many talented brewers to learn and brew more serious beer to people. 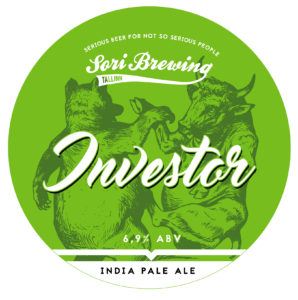 Investor IPA is a huge part of our story. 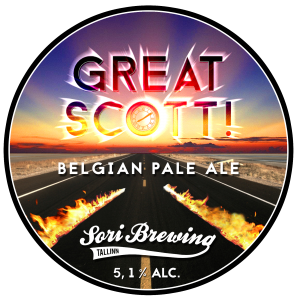 Sori Brewing is crowdfunded by craft beer enthusiastic investors who share our vision and feel the passion. This straightforward West Coast IPA was one of the first brews they got to taste. Now it’s a praise for all the shareholders believing in this brewery and the idea behind it. 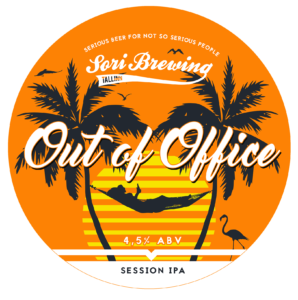 This beer is packed with Amarillo, Simcoe, Cascade and Magnum hops, giving it a strong tropical and citrus fruit aroma with a long, dry finish. Taste a part of our story and enjoy the hops! Gluten free IPA with all the taste. This refreshing IPA is hopped with Mosaic and Centennial. A lot of fresh pineapple, tangerine and floral notes. Since our brewing process is flexible to make beer for our gluten intolerant friends, we wanted to make one that does not compromise in taste. This is it. Working your tail off in a dead-end job and losing your passion? Put your ‘Out of Office’ mode on and leave your desk, for good. That’s what we did. This hoppy and refreshing Session IPA is all about pursuing your dreams, even if it’s just for a moment. This is a perfect beer for after office hours and of course for those moments where you need a beer with character, but less buzz. This lightweight beast is hopped with Simcoe, Cascade and Centennial hops, packed with tropical fruit, grapefruit and hints of piney notes. 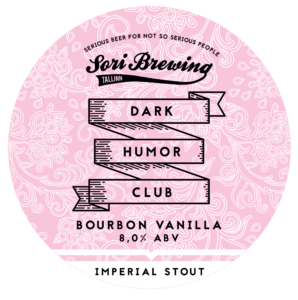 Both this and Investor IPA are Sori’s very first brews brewed from 2013. 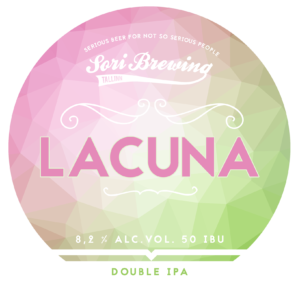 Lacuna means missing part – and New England style IPA was one missing part in our portfolio, so Lacuna was our first brew in that style. Lacuna is a hazy Double IPA with 25g / liter of hops. Hopped with Vic Secret, Wakatu and Citra. Hazy, juicy and tropical. A lot of mango, passion and fresh hops in the taste. Massive aromas yet low bitterness. 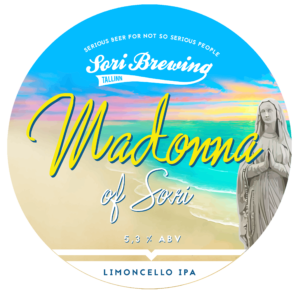 Limoncello inspired single hop Mosaic Session IPA with lemon peel. 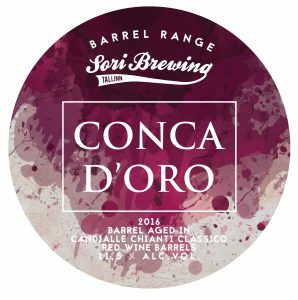 Inspired by Italian Riviera, where you can also find the town of Sori. In the 16th century, the statue of the Madonna was stolen by pirates. During fights, they threw it into the sea and the statue disappeared. The statue was found again from Sori beach around 50 years later, unharmed. During WWII, the town of Sori was bombarded and the statue ended up in the sea. 11 years later the statue found back to the beach of Sori, again unharmed. Time to push the big red and cease the moment. We wanted to brew something beautiful yet very hoppy and drinkable, like we enjoy our beers. 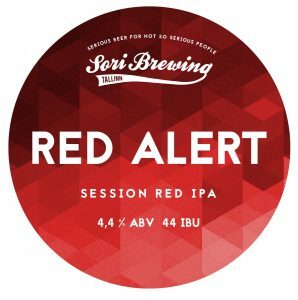 This very fruity, aromatically hopped Red Session IPA is everything you want from a red small beast like this. Packed with resinous fruitiness, delicate bitterness yet amazing balance. 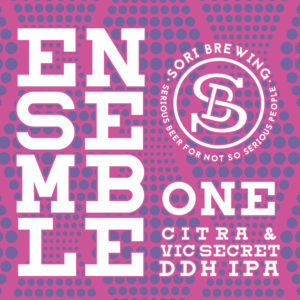 Ensemble One is loaded with tropical Citra and Vic Secret hops. A super juicy, hazy beer with vibrant pineapple and passion fruit aroma. A soft, velvety mouthfeel with rounded bitterness, brewed for you to enjoy this beer from the start to finish. 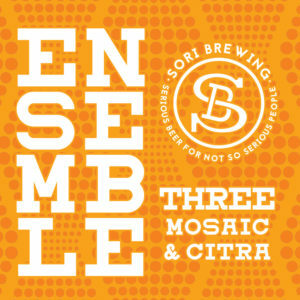 Ensemble Three sees the return of Mosaic with a new partner, Citra. This classic American team-up delivers a punch of citrus and tropical fruit. 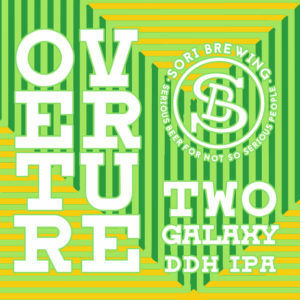 Sit back and enjoy this DDH Double IPA as we prepare you for the next movement of our symphony. 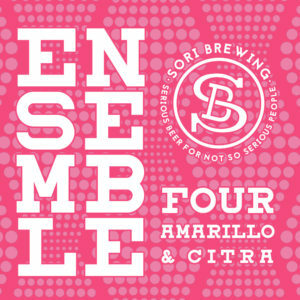 Ensemble Four is packed with citrusy Amarillo & Citra hops.Serious double dry hopping guarantees bursting flavors of sweet orange, tangerine and fresh lemon, balanced with a smooth and oily mouthfeel with light bitterness. 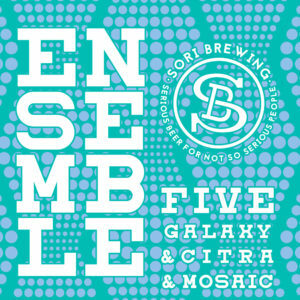 In continuum to our Symphony of Hops series, Ensemble Five is the biggest and boldest DDH IPA we have done so far. Hopped massively with our favorite hops Citra, Mosaic and Galaxy, giving it a huge hoppy aroma, tropical juiciness and a smooth mouthfeel. Bursting with the one and only Amarillo hop – a whopping total of 20 kg per 1000 liters! Our showcase of this delicate and super fruity American hop that keeps on giving. Expect a soft, juicy beer bursting with marmalade and orange sorbet aromas with a hint of smooth bitterness. Packed with almost 20 kg of Galaxy hops per 1000 liters. Intense clean and tropical flavor. Flavors of lime, pineapple and orange peel. Creamy and super drinkable with complex and profound hop character. A juicy and dank tropical bomb to enjoy! 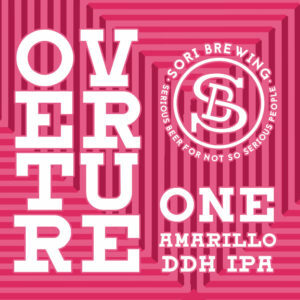 Overture Three: Double Dry Hopped Double IPA, is the final score in the overture series, a standing ovation to the almighty Mosaic hop. A concerto of tangerine, papaya flavors, a symphony of floral aromas. Soft and creamy mouthfeel for a perfect finish as we lead into our next act. Which one is it, a Belgian Witbier or an American India Pale Ale? 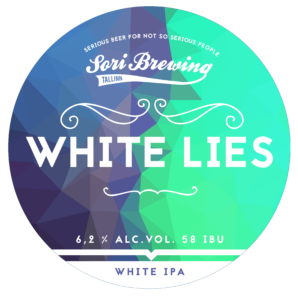 White Lies is an unfiltered White IPA. Pale and hazy Wit & IPA hybrid with a round malt base and a spicy yeast character. 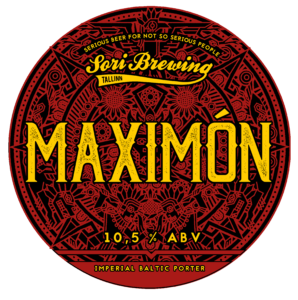 Intensively tropical Equinox and Mosaic hops give this IPA a big punch of fruitiness. Leaping Lena was a West German racing pigeon who got lost in Czechoslovakia in 1954 and returned with a strong freedom manifesto signed by Unbowed Pilsen. Like Unbowed Pilsen, we appreciate freedom. A famous Bohemian lager yeast strain from Pilsen fermented this revolutionary IPL. 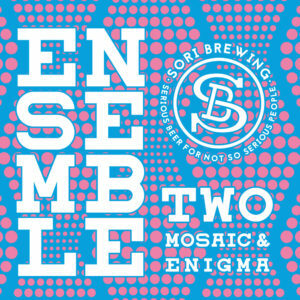 Hopped fruity and flowery with Mosaic, Ahtanum and Simcoe. Delirious means a wildly excited state of mind. Getting wildly excited, we added a massive amount of dry hops into this Imperial IPA. Seriously dry hopped with amazing hops like Citra, Mosaic and Simcoe. Like all great IPA’s, this is best enjoyed fresh. A real, big American style Imperial IPA that makes your hop radar go wild. Resin is that thick, golden substance that trees produce. Same as resin this Double IPA is thick and sweet, except it’s loaded with amazing hops like Citra, Simcoe and Chinook. Expect an intensively piney, citrussy and fruity IPA with all those luscious and aromatic hop oils. 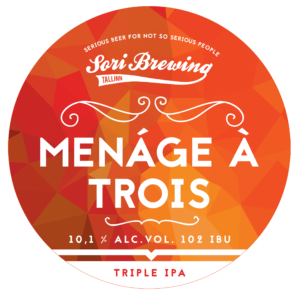 Ménage à Trois Triple IPA is a praise to polyamoric love for hoppy beers – you just need more to love! 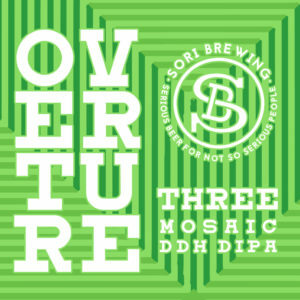 3 hops: Motueka, Citra & Tomahawk. 3 malts: Pale, Cara Pale & Crystal 50. Not for the faint-hearted. Are you ready for some sour tropical explosions? 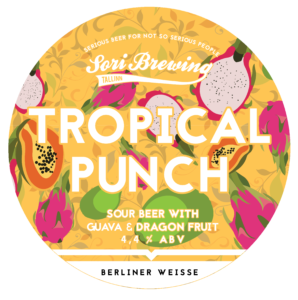 This sour and refreshing Berliner Weisse has massive quantities of Guava and Dragon Fruit. Maybe this is the daily doze of fruit doctor recommended? Raspberry Punch is a wild and refreshing sour beer! 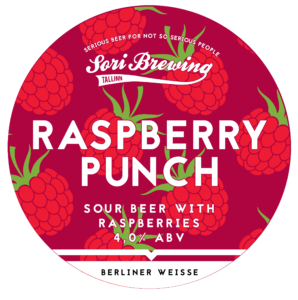 This pungently tart, fuchsia red Berliner Weisse gets its bold character from a load of added raspberries and the souring lactic bacteria. The tartness gives a nice little punch in your face and tickles your tongue. Now that you know what hit you, you’ll want more. Berliner Weisse Mit Schuss Himbeere. Passion of the sour! 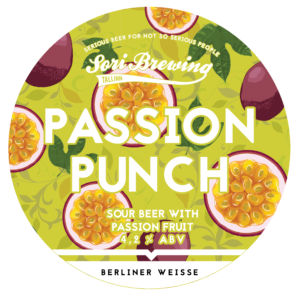 Our tart, golden yellow Berliner Weisse gets its fruity and tropical character from a huge amount of passion fruit and lactic souring. Have a sip and feel the punch that puts a smile on your face. Serve cold and let the passion flow through you. Sweet, dessert-like Imperial Stout with loads of flavor. Cacao nibs and espresso make this a liquid mocha cake. We added over a hundred Bourbon vanilla pods to make it a delicious treat. Dark Humor Club is fun, super dark and with every sip it reveals something new. Enjoy as a dessert and pair with chocolate. Join our Dark Humor Club, where life is fun and jokes are dark! When life gives you delicatessen of our DHC series is this deep coconuts, you put on Hawaii shirt and bite into this Imperial Coconut Stout! Another delicatessen of our DHC series is this deep dark and sweet stout. Pair with a rich chocolate cake, hard cheese and try with curry! 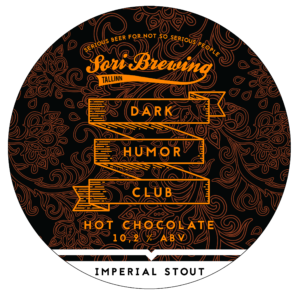 Dark Humor Club’s strongest and darkest beer is Hot Chocolate. A complex, rich flavored chocolate Imperial Stout. Brewed slow and carefully to get the every bit of that complex flavor. Matured on a massive amount of cocoa nibs where it gets it dark chocolate flavor and aroma. Full bodied Imperial Stout to warm even the coldest nights. Pair this beer with roasted meats or even better, with chocolate and coffee desserts. Pair this beer with desserts with cherries, lingonberries or cranberries. A yawn is a silent scream for more coffee. You face Coffee Gorilla every morning in the mirror before your first cup. Now it’s possible to drink beer and coffee at the same time. This must be the future? Coffee Gorilla is also a great dessert! Brewed with six different malts and smooth espresso. Pair this beer with everything chocolate. The winter is coming! If you don’t feel like making snow angels in slush, you can always sit right there and enjoy this amazing Porter. Can you feel it? 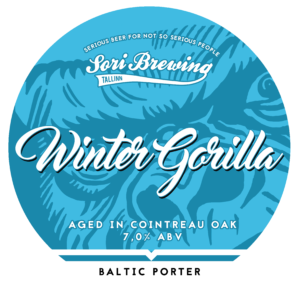 Winter Gorilla is already warming you from inside! Winter Gorilla only appears in the wintertime. Porter matured in oak with Cointreau to give this dark treat a slight oaky vanilla and orange twist. You can also meet this one under the label Christmas Gorilla. Ho ho ho! 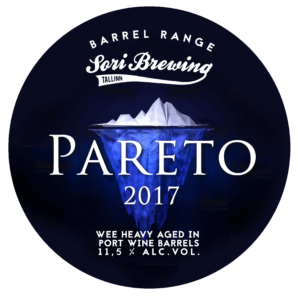 Pareto (Whisky BA) is a monumental wee heavy aged to perfection in Macallan whisky barrels for 12 months. Dry and delicious. Decadent caramel sweetness is cut with oak and fruity whisky notes. Luscious brew suitable for slow sipping. 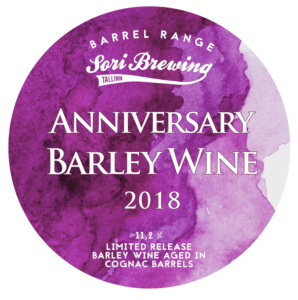 Also available as Whisky BA version! 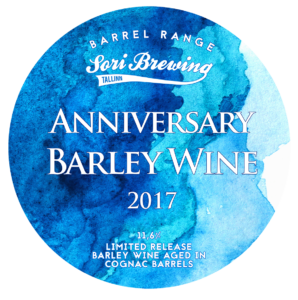 Special release: A magnificent Barley Wine aged nearly a year in elegant cognac barrels. Rich, dark fruit, honey and caramel notes balanced with oak and cognac from the long barrel aging. Celebrating 3 years of Sori and 100 years of Estonia. Special Ale Blend our barrel master blends annually. 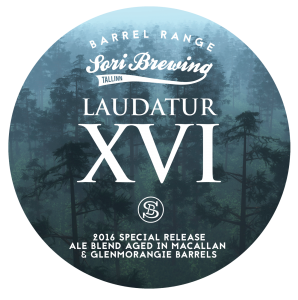 This rich and complex Ale blend aged in The Macallan and Glenmorangie whisky barrels. Subtle peat and smokiness, hints of aged oak and mellow Highland whisky tones. Balanced malty sweetness combined with light bittering hops that harmonises the complexity. An unique blend like no other. Rare bottling, aged 10 months in Brandy barrels. Collaboration brew with AF Brew. Imperial Baltic Porter brewed with Kenyan coffee, Bourbon vanilla and smoked malt. People in the north struggle with their emotional roller coaster in the heart of Summer. It is raining cats and dogs anyways, so let’s celebrate this melancholy. 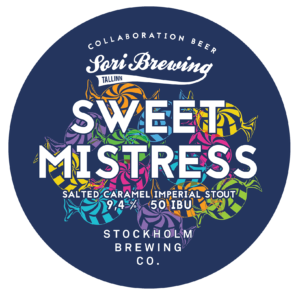 Collaboration beer with our friends from Södermalm, Stockholm. Together we brewed a beer that is both sweet and a bit salty, rounded to perfection in French brandy barrels. Working hard or hardly working? This is a knowing smile towards a witty colleague turned into a beer. Formal with a balanced bitterness. Hardly Working is a clean, crisp, hoppy lager with bold fruitiness. Refreshing with a good kick of flavor for the low 4,7% ABV. A thirst quencher to turn that late lunch smoothly into an early after work. 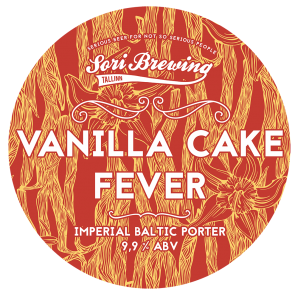 Vanilla Cake Fever is a massive and full-flavored Imperial Baltic Porter with astonishing dark chocolate and exotic vanilla characters. Again one of those beers where we did not count the hours making this. This beer is so tremendous that it can be paired with smoky aromas and very creamy cheeses. We would also pair this with desserts like vanilla ice cream, espresso and other coffee flavored desserts. A collaboration brew with our friends from Het Uiltje Brewery. To give you a small language lesson: An Owl = Het Uiltje (in Dutch) = Öökull (in Estonian). This beer is a Farmhouse IPA fermented with French Saison yeast and dry hopped with American Citra and Cascade. 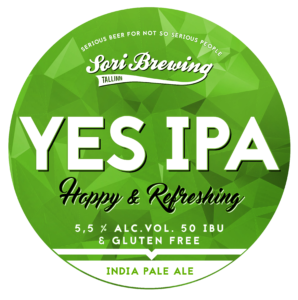 Citrusy hoppy and earthy fruity IPA that is perfect paired with light foods like salads and woks. A collaboration brew with our friends from AF Brew, St. Petersburg, Russia. Imperial Baltic Porter brewed with Kenyan coffee, Bourbon vanilla and smoked malt. People in the north struggle with their emotional roller coaster in the heart of Summer. It is raining cats and dogs anyways, so let’s celebrate this melancholy. The idea to brew this beautiful beer was born in Paris, France in the Summer of 2017. 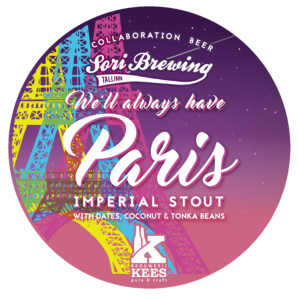 Sori and Kees fell in love with each others beers and that was it. Every good date night ends in a dessert that makes you smile. Ours is a sweet dessert like Imperial Stout that is infused with dates, coconut and tonka beans. Spontan Sahti-style Ale in steroids. From the North we brought seabuckthorn berry and Del Ducato brought in fresh ginger, melissa and maqui berries. Enough antioxidants to make a potion that makes a brewer live forever. 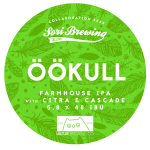 The whole thing was first fermented with a traditional Finnish Sahti yeast strain we brought with us. After that it was given a secondary fermentation with Roeselare yeast (which is a blend of Belgian style ale strain, a sherry strain, two Brettanomyces strains, a Lactobacillus culture, and a Pediococcus culture) to take some edge off. Rye Wine brewed with Finnish rye and Icelandic caraway seeds. Aged in oak to round up this big beer giving it a piquant range of flavors. 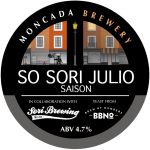 This Saison was brewed on the week we spent in London for London Craft Beer Festival. Ex-tempore brewing with Chris Sullivan (Stone Brewing) and nice chaps from Moncada. This is the brewery where our brewer Morten used to work back in the days when he lived in London. Thanks to Brew by Numbers, we got the yeast to brew this. This Sahti is matured in oak and not just any oak, but the famous Scotch whiskey distiller Laphroaig© Quarter Cask oak. 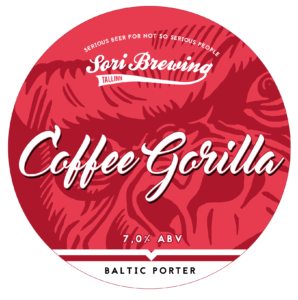 This gives our Sahti a bit more depth and balances the overly banana aromas that come from the traditional Finnish baking yeast. Our ancient beast is called Vientiassistentti Islay Sahti. 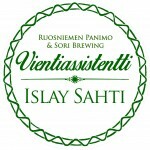 Vientiassistentti is the name for our collaborations, which translates to Exports Assistant, since Ruosniemi has been there for us helping to get this exporting brewery get going. Sold out. 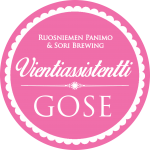 Gose is 1000 year old beer style, which is pretty sour and salty ale. 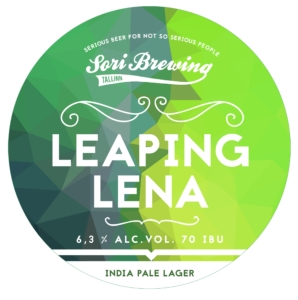 It’s brewed originally with 50% wheat malt and 50% Pils-malt and fermented with wheat beer yeast and lactobacilus. Originally spiced with hops and coriander. This particular gets it’s saltiness from pink salt and is seasoned traditionally with coriander. 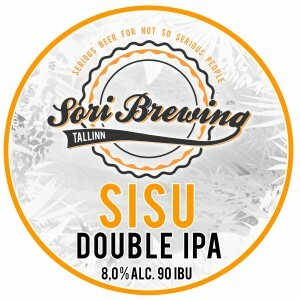 Made with Ruosniemi Brewery for SOPP Tampere Craft Beer festival in 2014. Sold out. 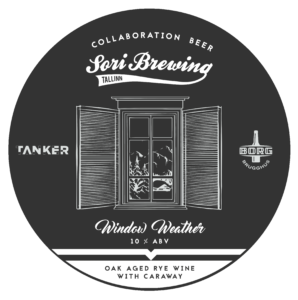 A collaboration brew of AF Brew and Sori Brewing. 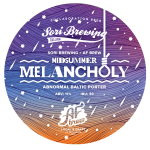 Pale ale with rye and juniper berries, combination of Finnish style and Russian sense of balance. Bizarre things happen when you lock a few Estonian and Dutchmen inside a brewery with an unlit christmas tree.. That bizarre thing is Pine & Needles, our fantastically idiosyncratic holiday nog brewed collaboratively with the little rascals at Sori. For this American strong ale, the journey is totally the destination! We first whipped together a whirlpool of citra, chinook and equinox hops and then slightly off our rockers, propped in an entire christmas tree. Literally, one beautifully big baltic pine tree, bark needles & all. It was maybe the best days of our lives. Ever. 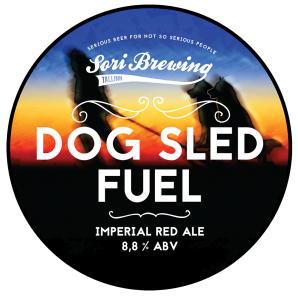 Ripe tropical fruit, citrusy and delicately piny Dog Sled Fuel pairs perfect with roast beef and stews. The caramelly sweetness compliments also rich and creamy cheeses. It’s not what beer is it, it’s when. Great Scott! 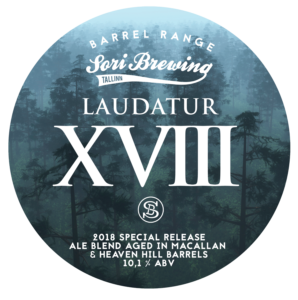 has travelled in time and brought a bit of the past in the form of Belgian yeast and combining it with one of the most loved new age hops, Citra. Citra makes this citrusy rich with fresh tropical aroma. Belgian Abbey yeast gives it a hint of earthiness and depth to chew on. When you get lucky you find a beer that grooves your soul. 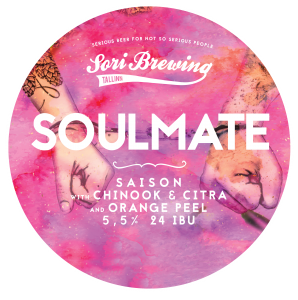 Soulmate is a floral and herbal Saison with a hint of honey notes. Elegant hopping with Citra and Chinook. Completed with a touch of bitter orange peel. This one is best when paired with simple farmhouse foods like roasted chicken, spicy sausages or hard cheeses. Gose is a 1000-year-old beer style that almost disappeared in the 20th century. This sour and salty wheat ale has now made a comeback! 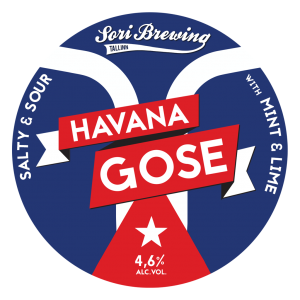 Havana Gose is our sour rebel inspired by the Mojito drink and the warm beaches of Cuba. Super refreshing, super sour & super salty. You can only use superlatives when talking about this beer. Seasoned with Himalayan rock salt, fresh mint and lime peel. Complex and sessionable ale for any occasion. West coast style Double IPA, a 90 IBU hop lovers daydream. Hopped with Magnum, Centennial, Cascade, Mosaic and Ahtanum. It takes guts and willpower to get through the thick part of starting a brewery. Even more, when you are starting it in a different country and face all kinds of challenges. You give it your best and seems like nothing is enough — yet you choose to keep going and give it your everything, that is sisu. Keep calm and keep going. 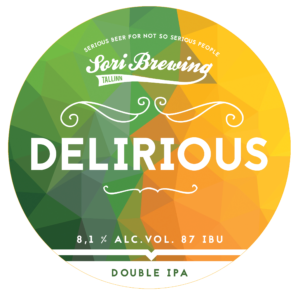 Today you can enjoy this perseverance in a form of this Double IPA. 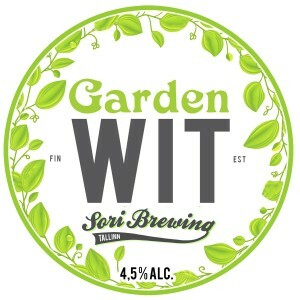 Garden Wit is an ode to the short period of time without snow in Nordics, also known as Summer. Time when people feel light and wander into parks. This Wit will make your taste buds smile wide. Enjoy at a terrace, in a park or curtains closed at home. From the garden, we have picked here some rosehips, orange peel, coriander seeds and US hops. Pair with food, for example with salad or fish.